BBC's iPlayer app has been updated for iOS users in the UK today, bringing added support for Spotlight search and Apple's Handoff feature. Users of the app can now directly search for TV programs from their home screen by activating Spotlight search with a swipe down gesture, while the addition of Handoff support enables viewers to pick up where they left off when switching to another iOS device. The update also patches a bug that led to the app crashing on launch for some users, and adds a full catalog of iPlayer programs to the channel page via the A-Z option. 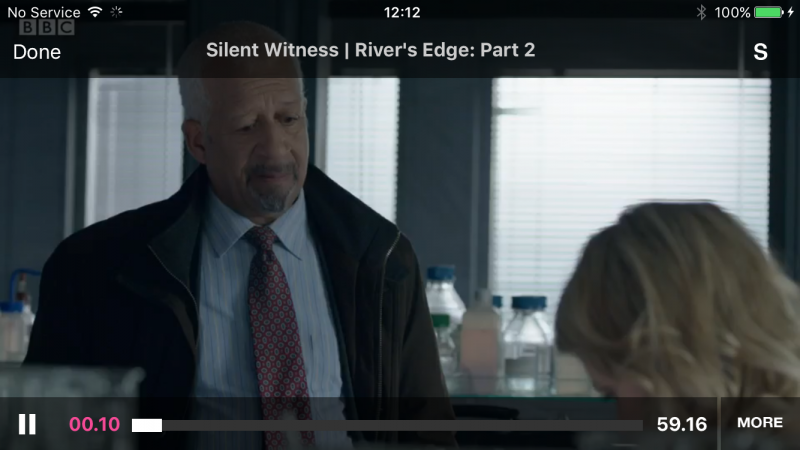 The UK broadcaster recently brought its iPlayer app to Apple TV after initially stating it had no plans to make the service available on the platform. Spotlight index, one step closer to Siri support on the Apple TV! Seems the BBC have made a database compatible for Apple. Spotlight searching for a bbc program isn't working for me after this update. Anyone else able to get it to work? Wasn't working for me until I closed the app in multitasking and reopened. Currently viewing click for a techie feed, works excellent. Nope, search not working for me either, even after closing the app through app switcher.